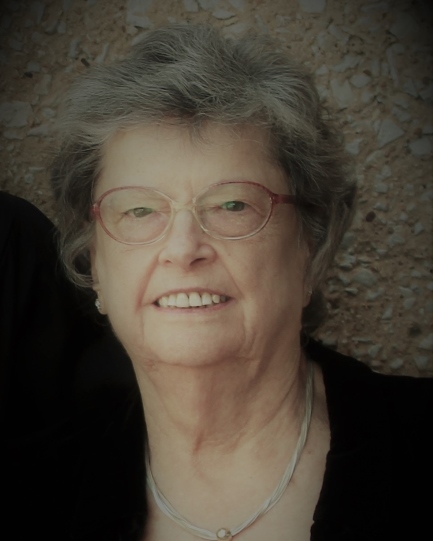 Frieda Kaufmann, age 76, of Norman, passed from this life on October 11, 2018. Frieda was born on April 12, 1942, in Bayreuth, Germany. It was at her childhood home, at a friend's wedding, that Frieda met a handsome soldier, Oskar Kaufmann, and fell instantly in love. The couple married in 1960. In 1962, Frieda came to the United States with Oskar who was stationed at Fort Riley, Kansas, thus beginning a life together marked by military and civilian deployments all over the world. Upon Oskar’s retirement in 1997, the couple settled in Norman, Oklahoma to be near their children and grandchildren. Frieda and Oskar celebrated 54 years together until Oskar’s death in 2014. Frieda’s heart was full of love for her family. As the consummate homemaker, she took great pride in her loving, spotless family home and being a fabulous cook. She also enjoyed traveling, particularly in Europe, reading, German crossword puzzles, and spending time with her family. But the activity Frieda cherished the most and which made her the most proud was being a grandmother, or Omi, to her grandchildren Matthew, Lauren, J.J., and George. Omi was their biggest fan and supporter. She was a kind, loyal and nurturing presence in their lives. Frieda was preceded in death by her beloved husband Oskar, her parents Emil and Marie Nochel, her three sisters and one brother. She is survived by her son Michael Kaufmann and wife Linda of Norman; her son Jeffrey Kaufmann of Edmond; her grandchildren Matthew Kaufmann, Lauren Kaufmann, James (J.J.) Kaufmann, and George Kaufmann; her brother Erich Nochel of Bayreuth, Germany; and her extended family in Germany. A memorial service to honor Frieda will be held on Wednesday, October 17, 2018, at 10:00 a.m. at Havenbrook Funeral Home in Norman. The family requests that in lieu of flowers donations be made to the American Cancer Society.